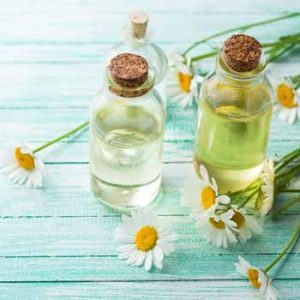 Natural Health News — New research reveals that chamomile oil can help relieve pain and improves physical function in patients with osteoarthritis of the knee. Osteoarthritis (OA) is a degenerative condition that affects the joints, causing pain and stiffness. It occurs when the protective cartilage that surrounds the ends of the bones wears down and is by far the most common form of joint disease, affecting people all over the world. Around 8 million people in the UK and 20 million Americans suffer from this condition. » Chamomile has a long traditional use as an anti-inflammatory and analgesic. » In a recent trial individuals with knee osteoarthritis were instructed to rub chamomile oil into the joint 3 times a day for 3 weeks and this was compared to taking an analgesic (diclofenac) or placebo. » Chamomile oil reduced the need for analgesics and also appeared to ease stiffness and improve levels of physical activity. In this study, Iranian researchers divided 84 people suffering from osteoarthritis of the knee into groups that received three different treatments: chamomile (Matricaria chamomilla) oil, diclofenac (an anti-inflammatory drug typically used to treat arthritis) or placebo. They were instructed to apply the chamomile preparation to their knee and surrounding tissue three times a day for three weeks, and not to massage it into the affected area. They were also allowed to take acetaminophen as an analgesic if needed. Every week, the researchers assessed subjective levels of pain, physical function and stiffness. Analysis revealed that the chamomile oil significantly reduced the patients’ need for acetaminophen compared to the diclofenac or placebo groups. In addition, the chamomile preparation showed some beneficial effects on pain, stiffness and physical activity in patients and no adverse effects were reported. Chamomile’s traditional uses are broad. As a rich source of terpenoids and flavonoids, chamomile is said to have anti-inflammatory, antioxidant and anti-nociceptive (reducing the perception of pain). It is also used to soothe digestion and cramping, as a mild astringent and antibacterial and as a medicine for the mind, bringing a sense of peace. Matricaria chamomilla when fresh has a blue colour which comes from the chemical constituent chamazulene, which has a strong anti-inflammatory action. According to the authors, in traditional Persian medicine textbooks, dating back as far as 980 to 1037 AD, chamomile has been highlighted as a tonic of the nervous system as well as a remedy to help alleviate rheumatic and arthritic pain. To make a gentle aromatherapy body massage oil (2.5% dilution) using chamomile, blend 22 drops of the essential oil into 3 tablespoons (45ml) of a carrier oil such as almond or sunflower. Therapeutic oils for the purpose of pain relief tend to be stronger (5% dilution). To make a therapeutic massage oil using Matricaria chamomilla blend 45 drops of the essential oils into 3 tablespoonfuls (45ml) of carrier oil.